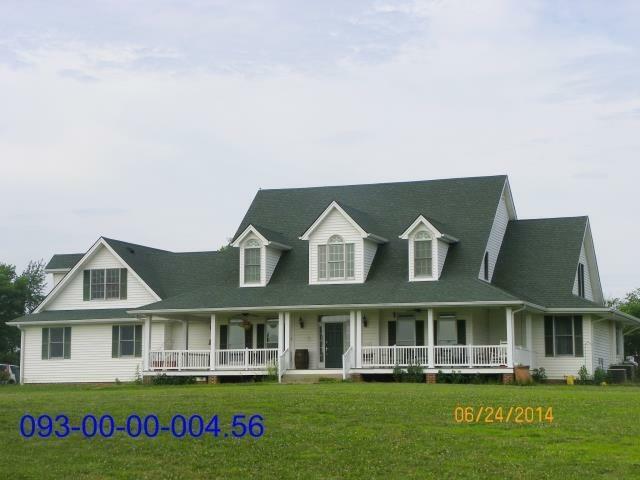 This is a rare opportunity to buy property in this location on 10 acres and close to town.This 5 bedroom 4 1/2 bath home has a lot to offer. It has a great room with tall cathedral ceiling, fireplace and built in shelving and cabinetry with french doors over looking the beautiful private view of the landscape.The kitchen is adjacent with custom cabinets, island and built in appliances. The master suite located on the main level has large walk in closet with shelving and a deluxe bath with separate garden tub and shower with double vanities and custom cabinetry.There is a bonus room over the garage that has its own stairway entry and also 3 more bedrooms upstairs with two full baths. all of this on 10 acres with a full unfinished basement. A minor renovation is in progress which includes painting the whole house and replacing existing carpet. Secure a contract on it now and have input into color choices with sellers approval.